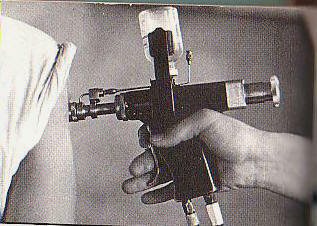 A number of veterans as well as doctors now believe that Vietnam veterans...could have contracted hepatitis C through unsafe jet gun vaccinations. While it’s possible the government’s position on transmission of hepatitis C among boomers may have resulted in less testing, it’s critical today boomers forget any fears of stigma and get the easy blood test. Does Your Medical Record Show Hep C Related Diseases? HCVets.com Educational Website & Support Forums are provided by past and present members of the United States Military with Hepatitis C (HCV) to assist with awareness to the Hep C virus exposure methods during military service. The VA Testimony before the Subcommittee on Benefits Committee on Veterans’ Affairs, U.S. House of Representatives, April 13, 2000, Gary A. Roselle, M. D., Program Director for Infectious Diseases, Veterans Health Administration, Department of Veterans Affairs, state, "One in 10 US Veterans are infected with HCV", a rate 5 times greater than the 1.8% infection rate of the general population." 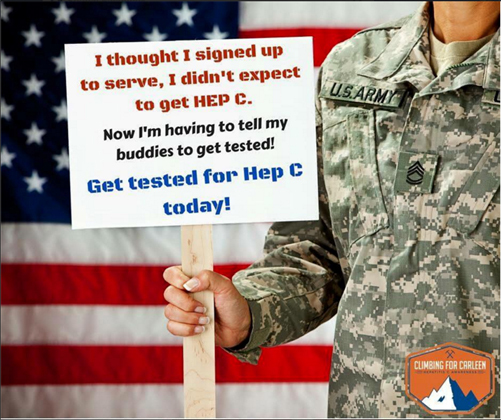 Greater than One in 5 Veterans with Hepatitis C are from the Vietnam and Post Vietnam Era! Of the total number of persons who were hepatitis C antibody positive, and reported an era of service, 62.7% were noted to be from the Vietnam. 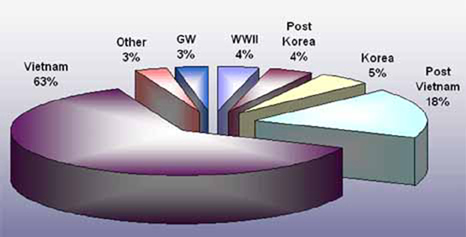 The second most frequent group is listed as post-Vietnam at 18.2%, followed by 4.8% Korean conflict, 4.3% post-Korean conflict, 4.2% from WWII, and 2.7% Persian Gulf era veterans. It wasn't until 2012 the Department of Defense began to test recruits entering and exiting the service. The figures for the War on Terror lack accurate research and expected to exceed the stated claim. The Hepatitis C epidemic is discovering what was... In 1988, 242,000 Hepatitis C infections were reported annually. These high figures were reported from the 1960s and throughout 1980s, then declining after 1992 when another test developed detected 65% of positive patients. However, it wasn't until 2001 a test was able to detect 99.9% of positive results. The following list are recognized service connected transmission methods for the Hepatitis C virus and other bloodborne pathogens. If a veteran applies for benefits and does not have "other" risk factors, or can prove service was a "greater risk" for infection with Hepatitis C, qualify for service connection. Nonhospital Health are–Associated Hepatitis B and C Virus Transmission: United States, 1998–2008 ...hepatitis C virus (HCV) from health care exposures... review of outbreak information revealed 33 outbreaks ...the putative mechanism of infection was patient-to-patient transmission through failure of health care personnel to adhere to fundamental principles of infection control and aseptic technique (for example, reuse of syringes or lancing devices)...recognized outbreaks indicate a wider and growing problem as health care is increasingly provided in outpatient settings in which infection control training and oversight may be inadequate. Military Marine Corps Veteran, Corporal Gary Lupole, 61, co-founder of HCVets.com, Educational Website . passed away suddenly on Thursday, February 2, 2012. His death was caused by hepatitis C and related diseases that he contracted during his military service. The Vietnam war has never ended for Gary, or for many Veterans and Retired Military members with service incurred disabilities like HCV disease. Please tell a friend that 1 in 5 Vietnam Vets have HCV disease. Honor Gary's Memory... Tell a Friend! !